Being able to craft together a wedding ceremony which is full of love and represents the personality, wishes, and ideals of a couple is no easy feat. It is a skill that Wedding Celebrants embrace and use to the maximum effect to make sure that couples have the wedding ceremony that truly reflects them. Celebrants make this happen from the planning stages, right through to their fantastic delivery of the ceremony. So imagine having a Wedding Celebrant who can not only do ALL of this but can also do it ALL in two languages! Yep, that’s right. Bespoke wedding ceremonies in both English and German for English (speaking) -German (speaking) couples. 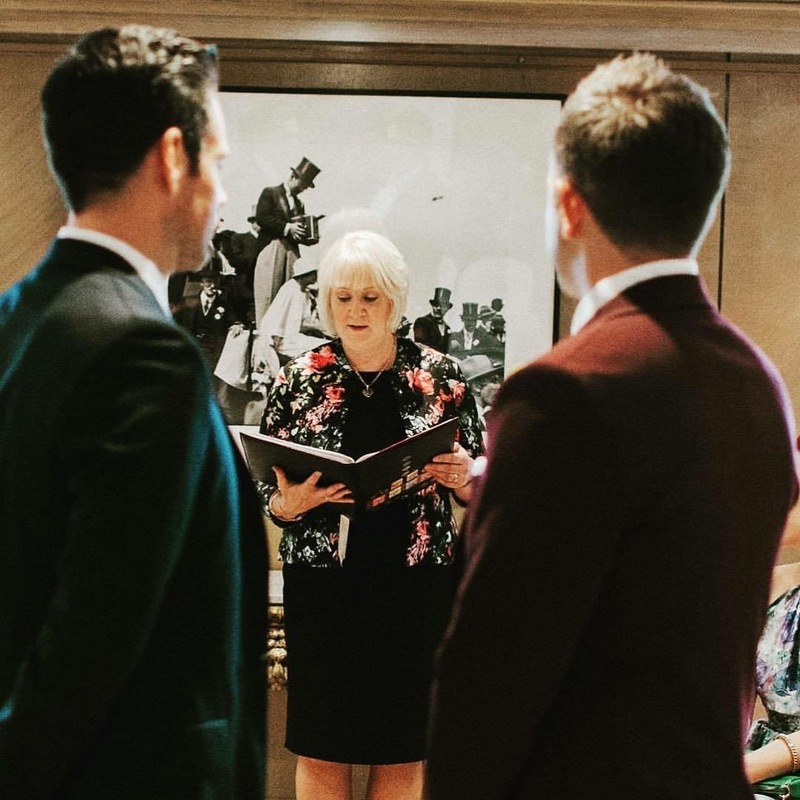 Today our Celebrant spotlight is firmly focused on Wedding Celebrant Yvonne Beck, this international jet-setter, who is based in both London and Berlin and who since 2011 has been making couples very happy all over Europe. So let’s not hang around any more. Let’s jump straight in and learn some more about Wedding Celebrant Yvonne, who describes herself as ‘warm, sincere and happy,’ and about how much she loves what she does. Hint: It’s a lot! What did you do before you became a Celebrant? I was involved in Government Education and Training programmes for young people and adults, helping them to learn to use technology to improve their skills base and employment opportunities, particularly in areas where traditional employment had ended – mining, ship building, car manufacturing, fishing and steel industries in the North of England and North East. I met and worked with many different types of people, from all walks of life, and was keen that what was offered by partners and professionals was inclusive and practical and that the programmes were sensitive and empowering. It was important to give everyone involved a voice, for feedback and just to ensure that quality of the programmes and processes were high. I enjoyed working with the end user as well as the professional practitioners, and even Ministers. Discipline, determination, seeing the big picture, and providing a practical solution were key to the success of my programmes. I also enjoyed marketing, sales, and promotion work, and writing bids and tenders, brochures and even qualifications. So, being able to communicate in a sincere and authentic way, meeting people from all backgrounds and experiences, and performing under pressure were key elements which I believe helped me in my role as a Celebrant. So how is it that you come to speak German? My mum was German. She met my dad a British soldier after the war. She already was a widow and had a son – my brother Armin. She wanted a calmer and happier life and more children. She was a strong and loving mum and had a wonderful positive approach to life. I was born in Lippstadt where dad was stationed in the British army of the Rhine. I learned to read and write German at home before I even started school. When I was five years old we moved to England and I became bilingual until dad came out of the Army and we settled in England. I thought it embarrassing to speak German at home in front of my friends, and gradually stopped speaking, but never forgot it! So now that my husband has a job here in Potsdam I’m speaking and writing German again and building up my vocabulary! It’s been wonderful and inspiring to offer bilingual ceremonies in England and Germany. Over a third of my ceremonies in 2018 have been in two languages. I am super excited about all my weddings, for each one has a sense of magic around it – how we work together and craft something unique is always so exciting for me. I do recall one particular ceremony that a couple from Australia booked. They kept the venue very quiet, and only told me two days before the date that it was at The Ritz Hotel London! I was in my second year, very new and still feeling so honoured to even be contacted! I remember going into the ladies loo and taking a selfie! It was definitely a fabulous and exciting experience for me, the newbie Celebrant! My advice would be to think about their values, their beliefs, and write down or research the type of ceremony that would best help to express those. It is important to consider other people, but the whole point of the day is exchanging those vows in front of the people who love you. The rest is window dressing in my humble opinion! I think couples make the mistake of listening to others too and trying to please all of the people all of the time, giving them an enormous challenge and lots of stress at a time that should be exciting and stimulating. It’s their day, they need to really believe in their choices, and be confident in making their own decisions. With more couples paying for their own wedding, and being fully involved in the occasion, perhaps making their own decorations and invitations, they need to know they can also be a participant in their ceremony, not simply the recipient of the words! Being a celebrant has shown me that love is a powerful emotion, strong, resilient, practical and ethereal. It can cross so many barriers and almost always cannot be denied. It is truly timeless but it also grows and deepens over time. That two people find each other, and commit their love to each other, is truly magical for me. The love that I witness when I hear them talking about their story, is heart warming, humbling and it is an honour to be asked to create a ceremony. I love hearing the different love stories, how the couple met, their plans for the future, and the feeling of love being all around us on the day. I love sharing in their excitement and their emotions, knowing that they are showing each other their true selves. It is a huge moment for me, every wedding is a joy and a pleasure and I feel very lucky to be able to play a small part in their big day. I think I get the most satisfaction on the day when the couple sends me that email or calls me to say they love their Ceremony! I feel that I then have captured their unique story, and created it in the way they dreamed it would be. Helping each couple find their “voice” in the ceremony is truly awesome! I love ceremonies that are held outdoors, with obviously a plan B should the weather change suddenly! I have been very lucky so far in that in over 150 weddings, we haven’t had to dash inside because of the weather! I adore nature, trees and parks, and have delivered many ceremonies in open spaces, as well as private gardens. The location can give a real sense of style and substance, atmosphere and beauty. I love the Ring Warming ceremony as it allows each guest and family member to hold the rings and warm them with their love and good wishes for the couple’s future happiness. For those who have a faith and would like to give a quiet blessing, a Ring Warming is ideal, as they can express their wishes in their own way. I love that the rings will then “contain” these warm wishes and that the couple can be reminded of that when they look at their rings. In the past I might have said, on a boat, in a castle or a fancy London Hotel, but nowadays having experienced each of those I would have to say I love the private home and garden wedding, usually at the bride’s home, and with around 50 guests, most of whom know the couple really well, and who share in their story in a big way. There is an atmosphere of calm excitement, of warmth and love from the guests and the family, which surrounds the couple and there is a sense of relaxed anticipation, and that we are all experiencing something really personal and special. 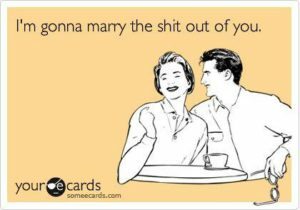 I think that the industry has become more tuned into what couples really want and expect from their wedding. In the past it was church or state and almost nothing in between, unless you decided to elope or take your guests abroad. The increase in the number and types of ceremonies offered by Celebrants and Humanists gives such a lot more choice to couples, which is really what they are looking for. I don’t know about you but I absolutely loved learning more about Yvonne. What a delight! If you’d like to contact Yvonne about your own wedding ceremony (why on earth wouldn’t you!? ), you can find her right here.